Bentley Systems announces the availability of OpenPlant CONNECT Edition, the latest of Bentley’s plant design offerings that allows users in the process and manufacturing industries to improve design and operations with a collaborative, intelligent, 2D and 3D plant design environment based on open data standards. OpenPlant CONNECT Edition now provides owner-operators and engineering, procurement, and construction companies the ability to design and manage their plant data through cloud-based services, while supporting reliable and asynchronous project visibility, anytime, anywhere. OpenPlant CONNECT Edition is the first application in Bentley’s multi-discipline plant design to utilize iModelHub, Bentley’s cloud service, which tracks all changes made to project designs and notifies users of changes. Participants can choose to synchronize to and from particular timeline milestones and can visualize, summarize, analyze, and interpret the impact of ongoing changes. 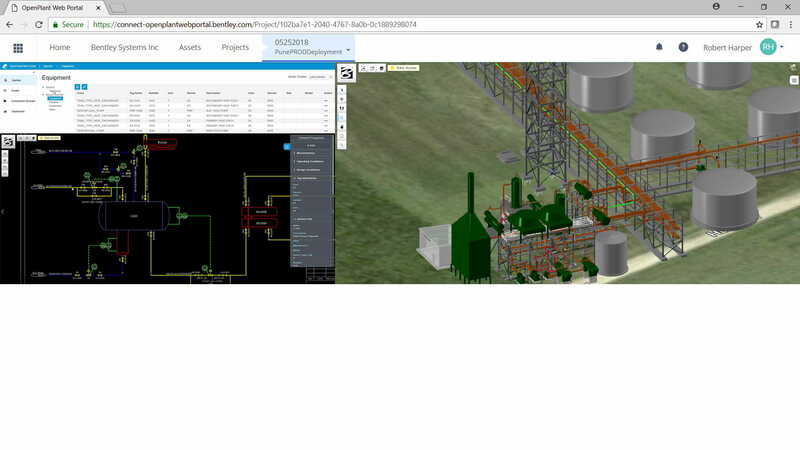 Utilizing the integration between OpenPlant and iModelHub, users can synchronize 3D models from OpenPlant with iModelHub, to view and query the model data in a web-based interface. Users can also perform 2D and 3D consistency checking through integration with OpenPlant PID. A full history of all the changes made to the 3D model and 2D designs are synchronized to iModelHub, including who made changes, what was changed, when changes were made, and the date the changes were completed. With the CONNECT Edition, Bentley introduces SELECT CONNECTservices, Azure-based services that provide comprehensive learning, mobility, and collaboration benefits to every Bentley application subscriber. Adaptive Learning Services help users master use of Bentley applications through CONNECT Advisor, an in-application service that provides contextual and personalized learning. Personal Mobility Services provide unlimited access to Bentley apps, ensuring users have access to the right project information when and where they need it. ProjectWise Connection Services allow users to securely share application and project information, to manage and resolve issues, and to create, send, and receive transmittals, submittals, and RFIs. Caption and image link: Use iModelHub to track and report changes made to plant designs. 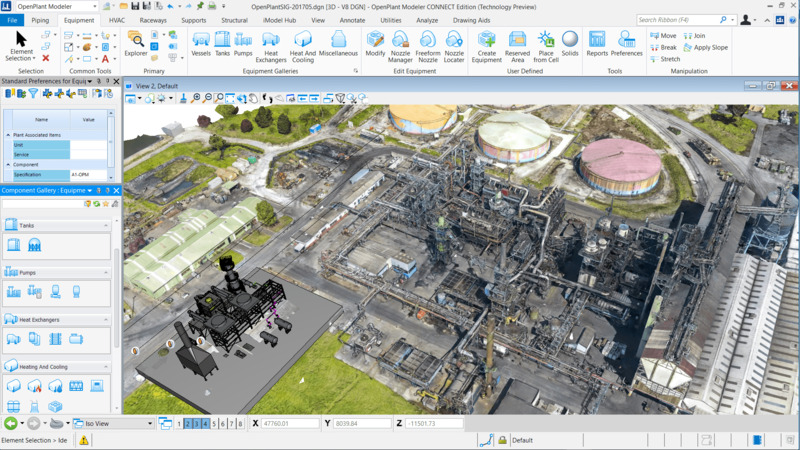 Caption and image link: Improve design efficiency with OpenPlant CONNECT Edition.